date taken and other information. The following methods work perfectly for any iPhone as well as iPad and iPod touch. 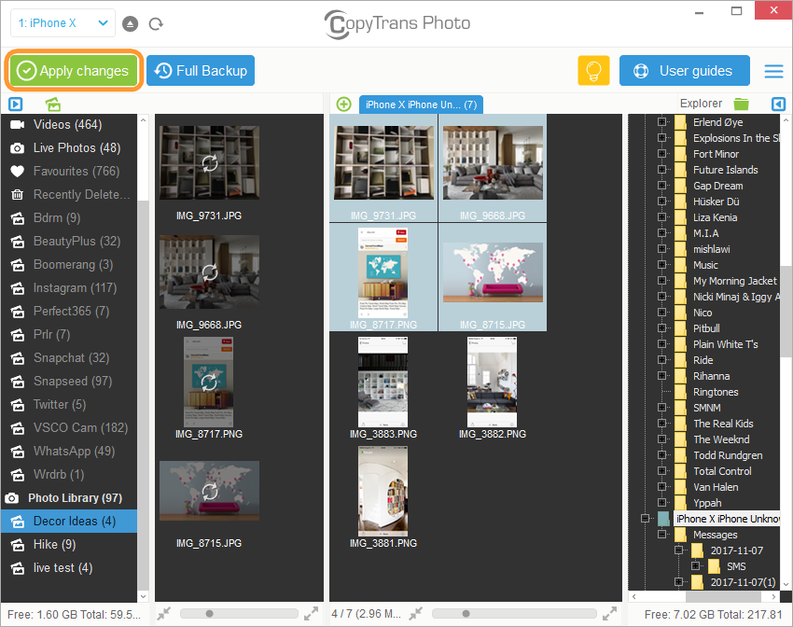 Start CopyTrans Photo and connect your iPhone (iPad or iPod touch). iPhone photos are displayed on the left while the PC photos appear on the right. 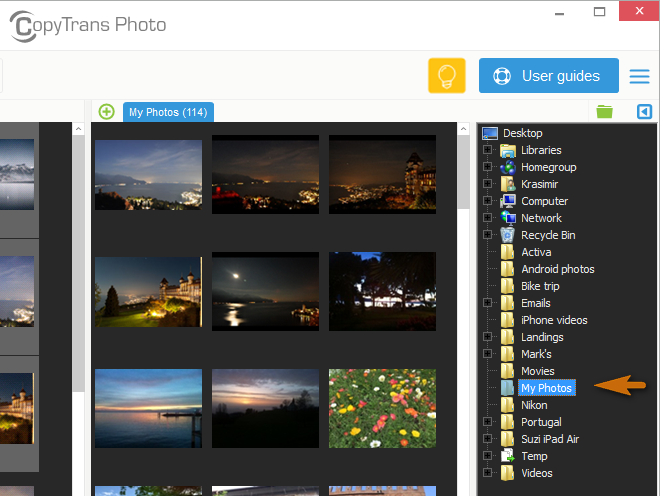 From the far right pane, select a PC folder from where you want to copy photos. Then select the photos you wish to transfer to the iPhone. 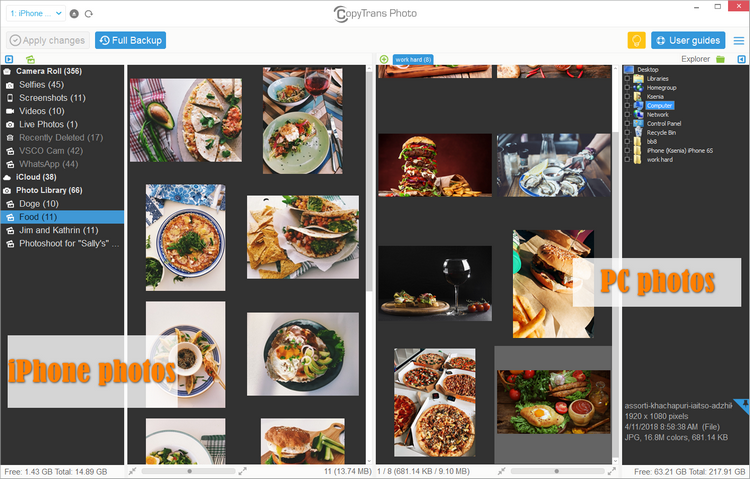 TIP: To select multiple photos, press and hold the CTRL key and click on the individual photos. To select all photos, press CTRL + A. Next, choose the iPhone album on the left where to add photos from computer. 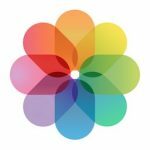 Due to Apple limitations, you cannot add photos to the albums that were created on the iPhone. 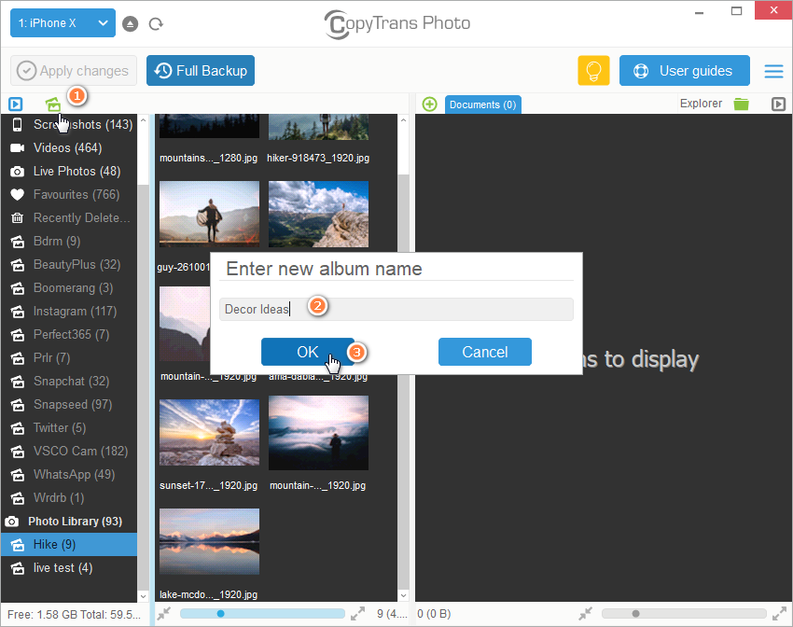 Please, choose to create a new album when using CopyTrans Photo for the first time. To put the pictures from computer to iPhone, just drag and drop the selection anywhere within the iPhone photo pane – basically from right to left. 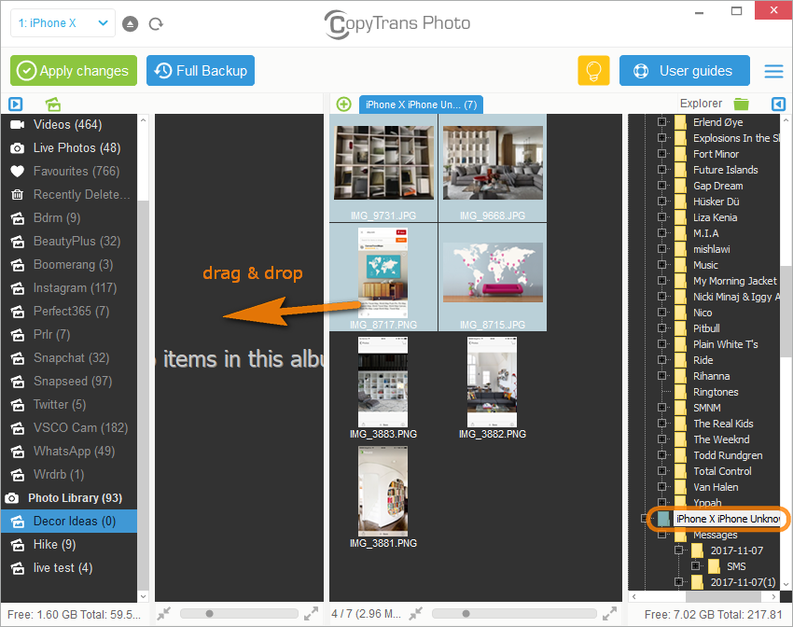 TIP: You can also drag and drop entire PC photo folders to the iPhone. Finally, click on the “Apply changes” button to confirm transferring photos from computer to iPhone. That’s it. The photos were succesfully copied from the computer to the iPhone. Alternatively, you can use iTunes to sync pictures to iPhone. 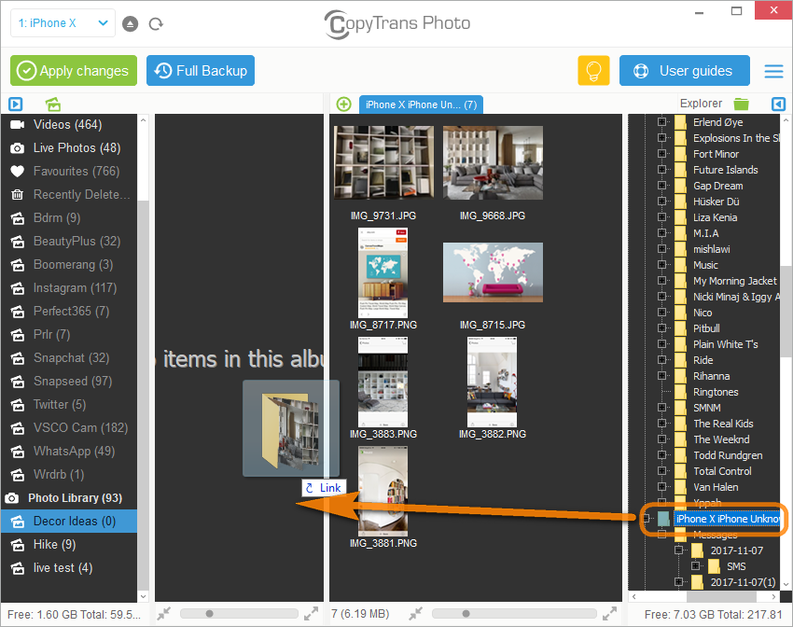 The obvious disadvantage of the method is the fact that you cannot control and manage the photos you transfer to iPhone. Moreover, your existing library will be overwritten and substituted with the new content that you sync with iTunes.